Christmas comes a little early this year for hard-punching Warriors Boxing lightweight Jessica ‘CasKILLA’ McCaskill. 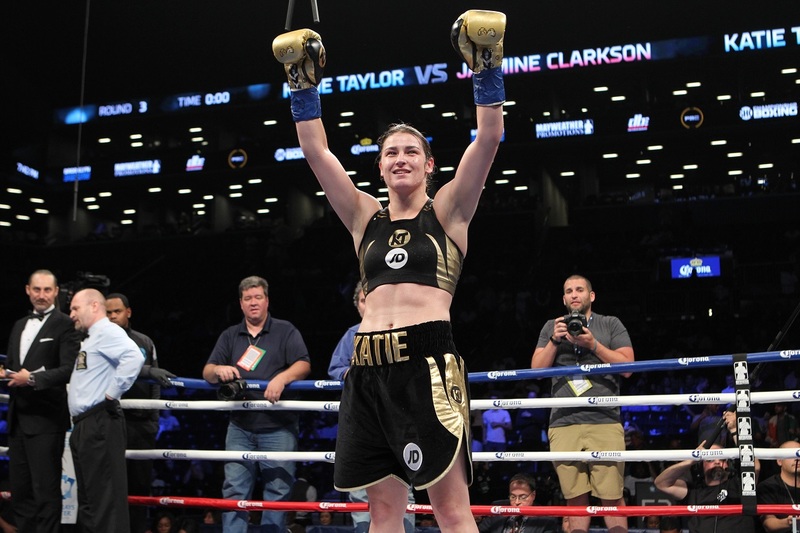 All year, she and manager/trainer Rick Ramos have been expressing their wish, via social media, to face Irish gold medalist turned professional world champion Katie Taylor. On Wednesday, December 13, they will get their wish, as Chicago-based McCaskill (5-1, 3 KOs) will challenge Taylor (7-0, 4 KOs) for her WBA Lightweight Championship at York Hall in London, England, and live before a massive audience on Sky Sports. Before turning professional a year ago, the popular Taylor, from Bray, won lightweight gold at the 2012 London Olympics, as well as an impressive assortment of world and European amateur championships. Known as the Irish athlete of her entire generation, Taylor is regarded as a superstar in the UK because of her aggressive and crowd-pleasing style. Much of the credit for landing the fight must go to Ramos, who doggedly pursued Taylor and her promoter, Eddie Hearn of Matchroom Boxing, on social media. McCaskill, who also works full-time in Regulatory and Reporting at R.J. O’Brien & Associates investment bank in Chicago, says she’s not intimidated about stepping into Taylor’s home field for this fight. In fact, she’s expecting a number of her fans to be there as well.